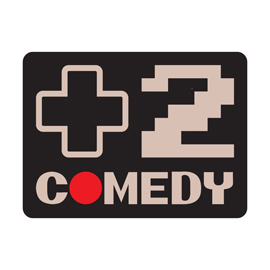 +2 Comedy | So funny, you need a saving throw! So funny, you need a saving throw! This is the place for all of your +2 Comedy news! Stay tuned and get excited for our upcoming appearances! Don’t forget the +2 Comedy Podcast: STAY DOOMED! be sure to look for a new episode every Monday here! Check out the news tab for more information about upcoming appearances! Thank you for coming to JohnCon and being so wonderful! You guys were the highlight of my weekend and I appreciate the genuine humor and tender, loving care that go into your jokes, on and off set. Also, thanks for showing me prowrestling moves, Noah, and get well soon, Will!